This morning I sat down to wire a fascinating tree. 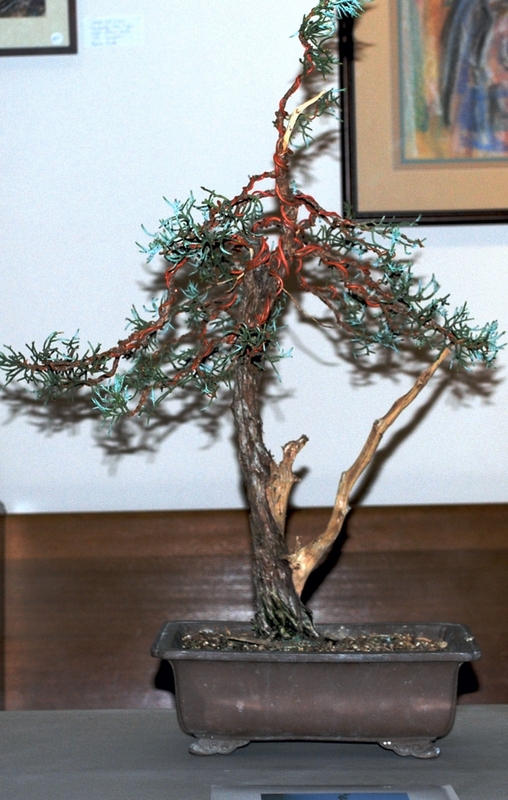 This Sierra Juniper, purchased in 2008, at a REBS bonsai show vendor table has development so much in nine years. I purchased the species as a trial to see if I could grow it where I lived. It was to be a unique species in my collection of junipers along side the Shimpaku, California Juniper, San Jose Junipers, and Procumbins. I loved the bluish delicate foliage. Bonsai is always a labor of love. You let them grow, periodically re-pot them, feed them, trim, trim, and more trimming. After all that sometimes you forget to look back where it began. 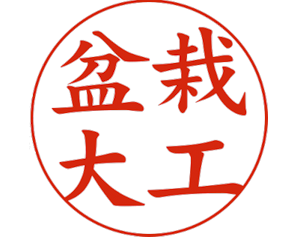 After purchasing the material, I had the opportunity to work with Master Mitsuya from Japan. He looked at the material and expressed it would be an excellent weeping style tree, one of his favorite styles. I was skeptical but he set to wiring the tree and he set the branches. He advised me to develop it this way over the years to come. Now it is wired for display in anticipation of an upcoming Kusamura Bonsai Club event that host Mitsuya’s student, Master Kathy Shaner. It will be interesting to get her feedback on the tree. 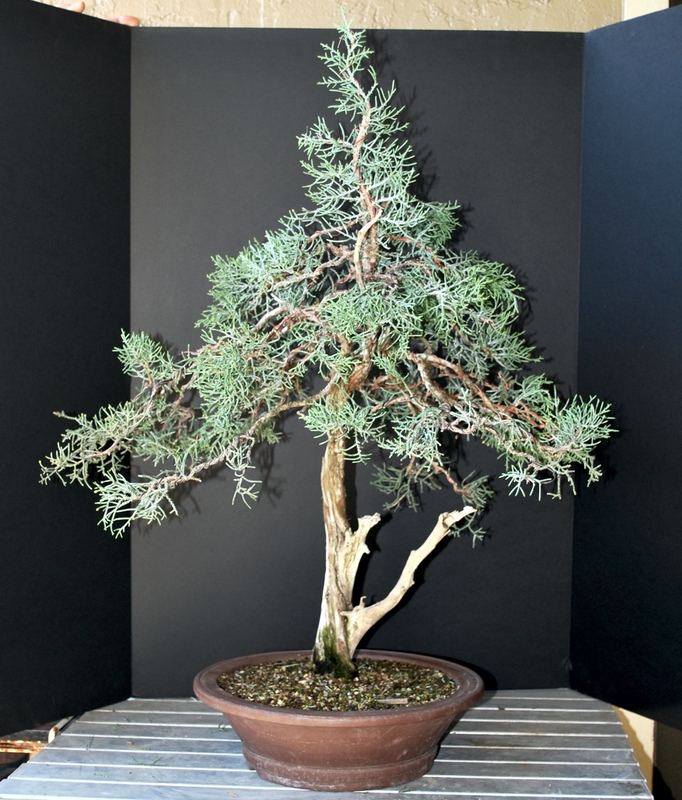 Sierra Juniper – 2008, original material purchased at REBS, Redwood Empire Bonsai Club show event vendor sale. The tree was taken to Master Mitsuya in 2009 to pondered the possibilities of the tree in a weeping format. Show here after the styling at a Kusamura Bonsai Club event short after first styling. Sierra Juniper, 2017 after wiring for display at Master Kathy Shaner’s demo, Kathy was a student of Master Mitsuya in Japan, on California natives at the Kusamura Bonsai Club meeting.